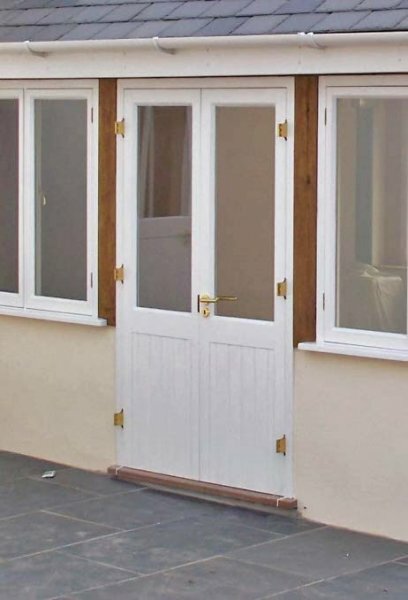 Whatever type of doors you have we can fit them for you! 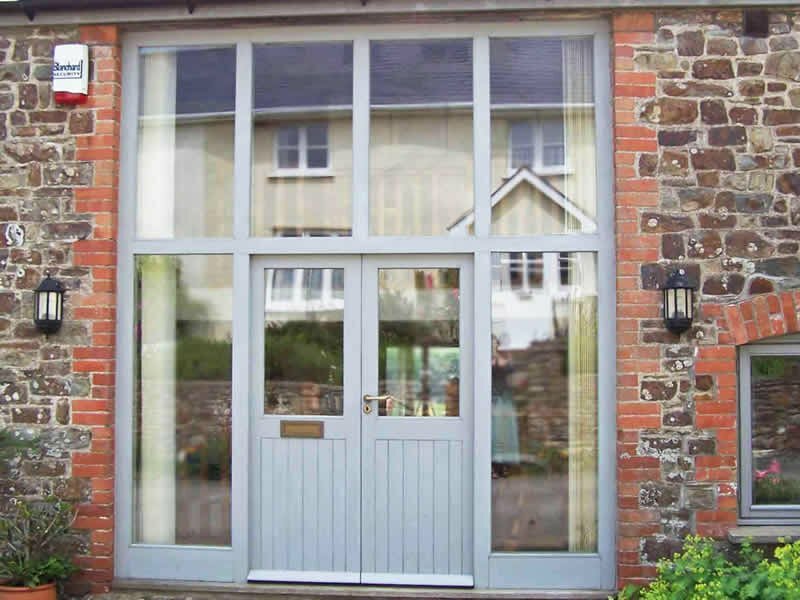 Your choice of door from the traditional, plank cottage or farmhouse door to bespoke designs for front doors and conservatories can be made for you. All are handmade by fully trained, experienced craftsmen in our joinery workshop. 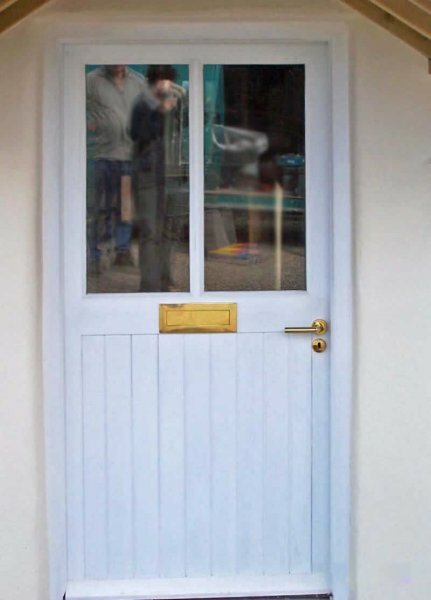 You can be assured that our doors are the utmost quality, heavy and substantial, designed to last more than a lifetime. 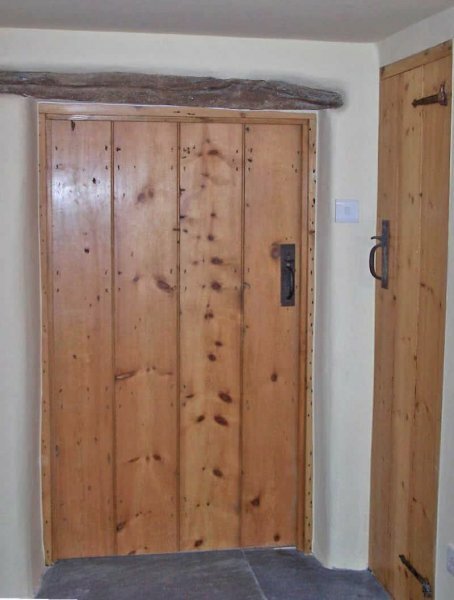 We can make any bespoke size or design of door required using any type of wood with a choice of finishes and are only too happy to discuss your ideas. 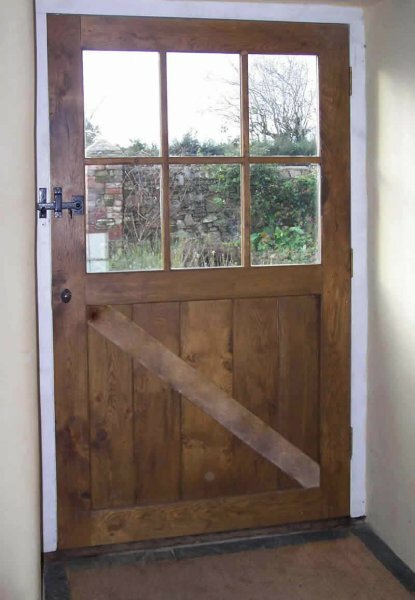 Most of our plank doors are made in reclaimed pine pitch pine and oak and finished with a lovely wax polish that gives them a beautiful depth of colour that will compliment your home. 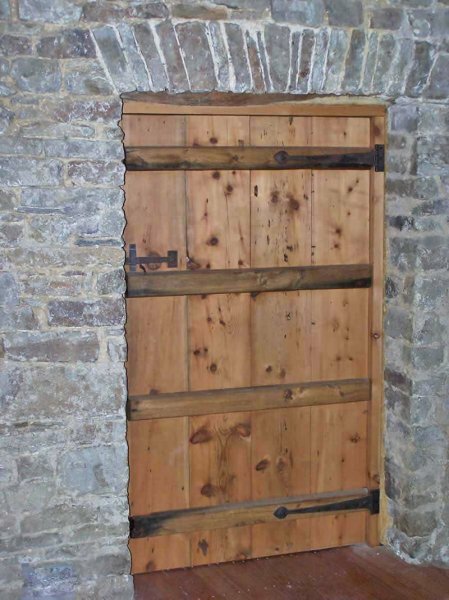 Using reclaimed wood is not only a sustainable way of helping to care for our planet, but immediately gives the doors a deep, mellow warmth that you can normally only achieve with time. 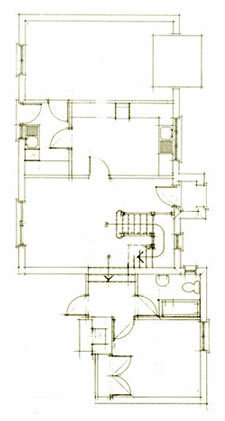 If you require a painted or stained finish, both softwoods and hardwoods are used. 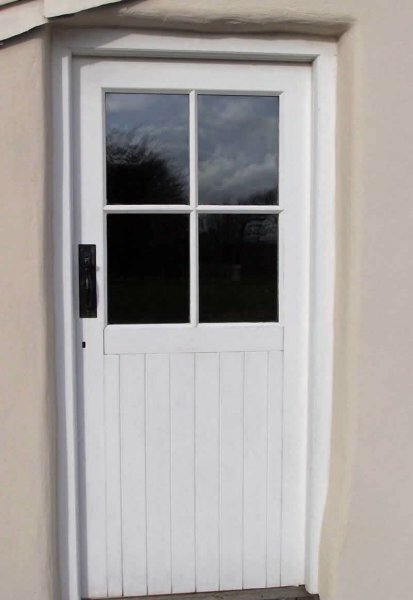 Many of our exterior doors are made in oak and either allowed to develop a natural patina using a clear oil or else treated with coloured oils or stains They will immediately enhance the look of your building and will last for generations. As well as natural paints and stains, the use of wax finishes and natural hard wax oils that are produced using carefully selected raw materials from nature and which allow the wood to breathe and continue to mellow, in time produce that deep richness of colour associated with treasured old furniture. You can choose from the traditional black, highly quality cast-iron, architectural ironmongery to a range of brass, but we are happy to supply any door furniture you may request. 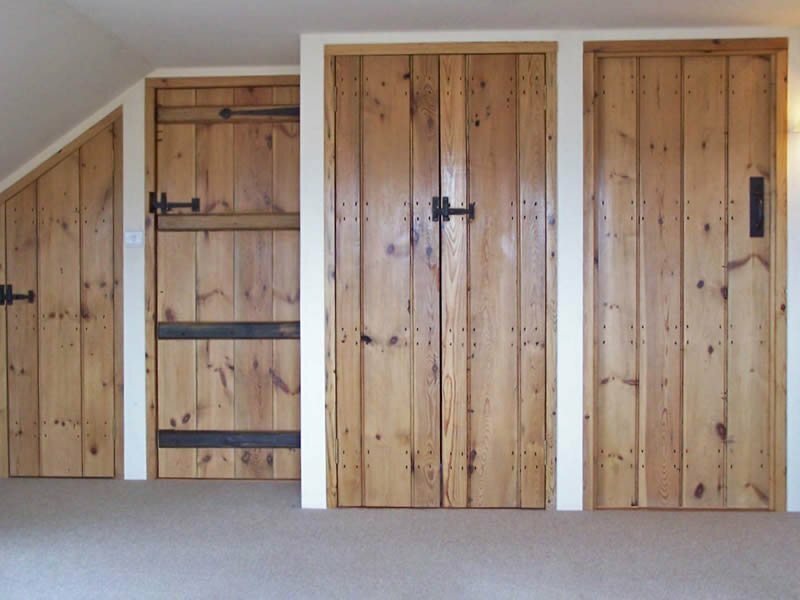 Any bespoke size or design of door you want, in any wood, with a choice of finishes – we can make you and are only too happy to discuss your requirements.